Sandra Schefkind, OTD, OTR/L, FAOTA is the Pediatric Practice Manager at the American Occupational Therapy Association (AOTA). She provides clinical assistance with practice-based inquiries from occupational therapy practitioners and others working with children and youth. For more than 25 years, Schefkind has provided occupational therapy services across the life course. 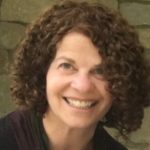 She held a variety of clinical and administrative positions before joining AOTA, including Director of occupational therapy at Bryn Mawr Hospital and Director of early childhood programs at Imagination Stage, a Bethesda, Maryland, nonprofit arts organization that provides theater productions and classes to children with and without disabilities. ED: How did you begin your career in early childhood? SS: When I completed my bachelor degree in occupational therapy (OT) at Tufts University, I worked in adult rehabilitation in Philadelphia at Thomas Jefferson University and Bryn Mawr Hospital. I continued to work full-time while completing my Master’s degree in OT by attending evening classes at Temple University. I then moved to the Washington, D.C. area, where I was juggling raising a family with working. I transitioned to working in schools, homes, and private practices. Then I saw a sign in the window of a local children’s theater about a deaf access program. I was really interested in this program since I had also studied voice and theater. I wanted to blend my arts and therapy background so I contacted them and began assisting in some of their classes for children ages five and up. They then asked me to develop classes during the day for young families to come to the theater. 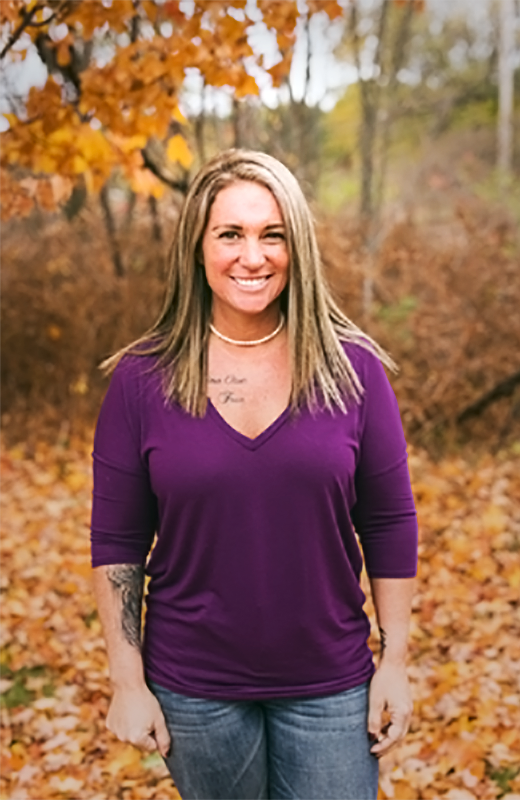 I became the Director of Early Childhood at Imagination Stage and developed a curriculum of play-based learning for families and young children ages one through five. I also provided professional development to the staff on developmental milestones and supported them on how to include children with differences. I developed additional programming for children with autism and their families. We took a video of the parents at the end of classes to get their feedback. I will never forget a mother telling me that she had never thought her family belonged in the theater because of her son’s differences, and how much the program had meant to them. That was a very powerful moment for me. When a position for the Pediatric Practice Manager was advertised at the American Occupational Therapy Association (AOTA), I applied. I have been working at AOTA for the past 13 years. Although I no longer work directly with families, I feel I am championing them every day. ED: What efforts have you been involved in to improve the quality of early childhood programs and services? SS: While at AOTA, one of my goals has been to bring early childhood activities, knowledge, and resources to our own organization. 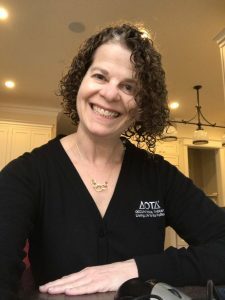 For example, I work to ensure that there are new articles and tools on the AOTA webpages such as on interprofessional practice and developing competencies to work with young children with disabilities and their families. I developed communities of practice for occupational therapy practitioners (OTPs) to learn from each other about evidence-based practices in early childhood and other topics like childhood trauma, transitions, and literacy. Additionally, I make sure that there are early childhood resources for OTPs from other organizations and technical assistance centers. In fact, I regularly promote resources from the ED-funded Early Childhood Technical Assistance Center! In addition to using their resources, I work closely with key partners from national professional organizations and ED-funded technical assistance centers to make sure that OTPs are represented in their work. I have been working with the ED-funded Early Childhood Personnel Center to develop the interprofessional early childhood competencies and with the ED-funded National Center on Systemic Improvement on an infographic on early childhood teaming. I am continuously building my own knowledge as well. 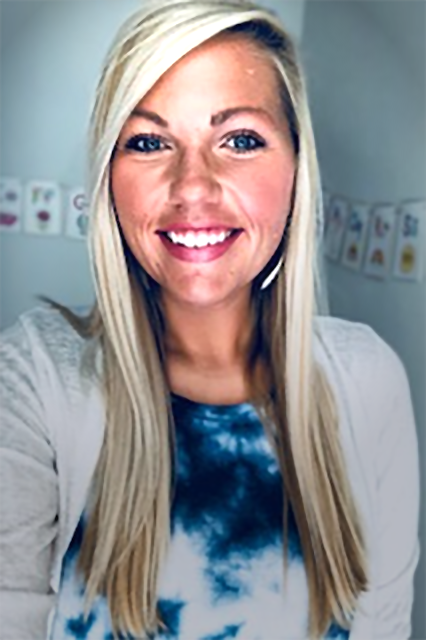 In 2016, I completed my clinical doctorate degree in OT from Thomas Jefferson University in Philadelphia, and I am now enrolled in a social learning certificate program which will help me continue to improve the quality of early childhood service and programs. ED: What are some of the challenges have you experienced in your work and what strategies have you tried to overcome them? SS: I have found that we often work in silos in early childhood. Because of this, there can be misunderstandings about the domain or scope of OT or underutilization of OTPs. Our partners may not be aware that the term “occupation” means activity. OTPs have knowledge and skills in both mental health and physical health to analyze activity, environment, and family strengths and abilities, and then adapt these for optimal participation to build family engagement in everyday routines and empower them. OTPs must be prepared to articulate and share their expertise and evidence that supports their interventions. They also need to articulate their value and contributions for the child outcomes measurement process as well as meeting children’s and families’ goals and objectives. To break down silos, it is important that OTPs set regularly occurring meetings with partners. This can build stronger teams and interprofessional practice to learn from, with, and about each partner. It is also necessary for OTPs to be involved in data collection to look at the connection between services and child and family outcome data. Additionally, OTPs could share our resources to help others learn about the roles of OTPs and the evidence-based practices that OTPs use. They must offer inclusive, integrated services in homes, community settings, and preschools and employ coaching strategies to support children’s development and empower families within natural environments and routines. ED: What suggestions do you have for others interested in improving early childhood services and programs? SS: It is important to use the full array of available partners for program development, training, as well as service implementation. Since OTPs are front line providers in homes, hospitals, schools, and other community settings, they are prepared and well positioned to promote authentic participation in activities and support families and children throughout the day in all types of settings. In working with families, you can help them connect how their children’s mental and physical health can be developed through activity, and by identifying their children’s strengths and needs. This can include building healthy routines for sleep, reducing screen time, understanding the importance of tummy time and improving play. This will, in turn, promote early literacy and preschool readiness, establish habits to prevent conditions such as childhood obesity, and promote social-emotional and physical growth and development. When thinking about policy to practice and research to practice, know that the national professional organizations have networks and state affiliates that can be of support to you in your work. They can disseminate key information, monitor trends, and share content for quality and practice improvement. AOTA also has a number of resources and looks forward to working closely with you! 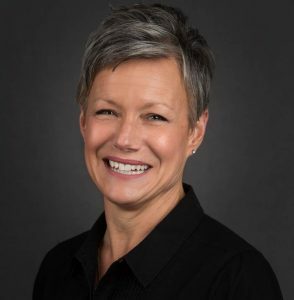 Kristie Kauerz is director of the National P-3 Center and associate clinical professor at University of Colorado Denver’s School of Education and Human Development. 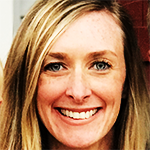 Kristie specializes in education reform efforts that address the continuum of learning from birth through 3rd grade, integrating birth-to-five system building, and K–12 reforms. Kristie’s expertise spans policy, research, and practice. An important aspect of her work is designing and delivering professional learning opportunities that strengthen the relationships and organizational strategies necessary to implement P-3 alignment efforts in districts, states, and communities. 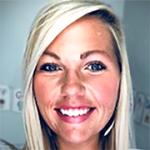 Kristie designed and directed the Washington P-3 Executive Leadership Certificate Program, a credit-bearing course of study that co-enrolled administrators from early learning and K–12. She has also led the National P-3 Institute since 2008. 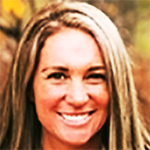 Kristie holds a bachelor’s degree in political science from Colorado College, a master’s degree in international development from American University, and a doctorate in early childhood policy from Teachers College at Columbia University. Kristie: I actually stumbled into early childhood work! I thought I wanted to work in maternal and child health and community development in Africa. While finishing my master’s thesis, I went to a conference in Denver hosted by the Children’s Defense Fund. At the conference, I attended the Colorado caucus meeting and long story short ended up being offered a job as the Director of Community Development and Outreach in First Impressions, Colorado’s office of early childhood in the Governor’s Office. This started what has been my 25 years in early childhood policy. It was great to work for Governor Roy Romer and the First Lady, Bea. This was in the mid-1990s and they were some of the early, loud state level proponents of early childhood education. I became the Governor’s Policy Advisor on Early Childhood and worked with others to initiate the quality rating and improvement system for early childhood programs in Colorado, competencies for early childhood personnel, and local early childhood councils across the state. It was a really exciting time to be engaged in early childhood policy. I was in the right place at the right time and everything I’ve done in the field since then has a direct thread back to what I learned working in Colorado’s Governor’s Office. Kristie: My efforts have been varied. While in Colorado’s Governor’s Office, I spent a lot of time in communities, meeting with stakeholders and people who lived all across the state. I needed to know what policies looked and felt like at the community level. This state to local connection was important to understanding how policies and budget decisions at the state level were impacting the quality of early childhood programs at the local level. I also was engaged in the state to federal connection in early childhood. Governor Romer was a proponent of having Head Start funds go to states so they could be used to build high-quality state systems and programs in early childhood. This exposed me to policies at the national level that impact early childhood programs. After working in the Colorado Governor’s office, I started my first stint in academia. I was an evaluator of Colorado’s early childhood councils and examined how early childhood systems were working at the community level. From there I went to work at Education Commission of the States (ECS). They had a robust P-20 agenda, but the bulk of their work was at the high school end. They wanted to expand their work in the early childhood side. This provided a foundation for my current work. A lot of ECS’ work was thinking about transitions between high school and community college or universities and I realized that we needed to think about transitions at the other end of the continuum so there was alignment and connections between early childhood programs and K–12 systems. Being at a national think tank like ECS allowed me to engage with policymakers to discuss the importance of supporting high-quality early childhood programs, and it helped me to understand how different things are from state to state. While at ECS, I had the opportunity to get my doctorate. The leadership at ECS was really invested in mid-level staff getting doctorates to become better policy analysts. Sharon Lynn Kagan had just started a doctoral program at Teachers College at Columbia University in early childhood policy. Getting my doctorate was one of the smartest and hardest things that I have done. It made me a more effective policy person. The training as well as the practical experience at the community level helped me translate and bring together research, policy, and practice in early childhood; something that is not always done well in our field. In my work since getting my doctorate, I have been deeply involved in working in school districts, which is a different lens from early childhood systems. I engage with district central offices, school administrators, and school boards about a different infrastructure that supports a K–12 system. It is really interesting to look at how we educate K–12 students and the disconnect between the early childhood and K–12 systems. ED: What are some of the challenges you have experienced in your work and what strategies have you tried to overcome them? Kristie: There are challenges at many levels, but a theme of the challenges is the difference in perspective. For example, there are differences in how birth to five stakeholders think of things versus K–12 stakeholders. There is no right or wrong perspective, just different perspectives. Many professionals in early childhood come up through child care, Head Start, and other preschool programs. 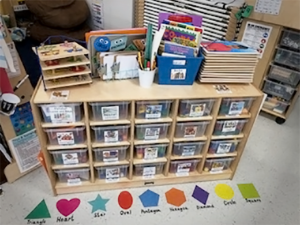 They talk about play-based learning, developmentally appropriate practice, and Vygotsky. Those in K–12 have been trained differently. They learn about standards and curriculum and people like Dewey. While 0-5 and K–12 stakeholders hear each other, they don’t always understand the different perspective each comes from. Different perspectives also impact how we navigate policy, research, and practice. These do not always match up to each other if we are not comfortable with another’s perspective. I’ve realized that I need to be a code switcher so that I have credibility across both early childhood and K–12 systems. We don’t talk enough about differences in perspective. We tend to polarize others with different perspectives instead of spending time trying to navigate the difference in perspective. It is a common challenge in each step of the way and across different areas. We have differences in communities, and what works in one may not work in another. We need to recognize these nuances and not assume that there is a one size fits all approach to every problem or issue. Kristie: In higher education, I enjoy getting to work with students. I tell them to be curious. Often people’s approach to becoming more effective is to become more certain in their ideas, but it should be the opposite. We need to be curious about others’ perspectives. Early childhood is an interesting space. It has changed in the past 25 years in that there is much more robustness, but we still have an identity crisis. It is a field that grapples with universal access and how to align with K–12 systems or to be a separate system. We need people who will be able to lean into the uncertainty and consider different angles and new approaches to solve our familiar problems. As a field we need more people trained in early childhood policy. We need to think of the next generation of leaders and the policy coursework and program of study they need so that they can step into policy positions. We also need to remember the joy of this work. 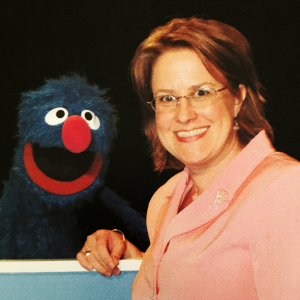 In my work, the two most memorable and important introductions I had were to Sesame Street’s Grover and Mister Rogers. They both reminded me of the happiness and joy that we want for all children. We need to remember the special time that childhood is and to keep the joy not only for kids but also for the adults who work to support children and their families. Have you ever sat in a classroom and your teacher asks everyone to read a paragraph out loud? You skim through to see which paragraph has the easiest words to read out loud. That was me. I was the young girl shaking in my boots when I knew I had to read out loud. Often, I would try to identify the “easy” paragraph, and if I couldn’t find one, I would make the class laugh by getting myself into trouble and taking the pressure off me. I was scared, although everyone thought I was the girl who didn’t fear anything and was tough. I was scared because I saw others do things that I struggled with. Middle school was hard for me. Not only was I dealing with social pressure, but keeping up with my academics was a lot of work in and of itself. Have you ever just felt like you were different from others? Have you thought that people wouldn’t understand when you expressed your thoughts? It was very hard for me share the challenges I was facing and explain what was going on for me. I always thought people would think there was something wrong with me. People still tell me, “you’re a tough girl, don’t sweat it.” As a young student, I didn’t talk about my struggles as a way to avoid embarrassment. What I didn’t know back then was that I have a learning disability. I struggled every day with reading and processing issues. No one had explained to me what my learning disability meant. I had no idea that my individualized education program (IEP) could actually help me succeed. I couldn’t understand how I could do so well in my theatre classes but struggle in others. Eventually, I fell so far behind in high school that I was not allowed to take any arts classes. I had too many academic classes I needed to complete if I wanted to graduate. So, I dropped out of school. I remember thinking that I would never get a GED (general equivalency degree). But with hard work and determination, I passed the GED exam after trying three times. I was so proud when I passed, and I wouldn’t believe it if anyone told me that I had a disability or needed extra supports after that to succeed. It wasn’t until college that I discovered I was still having trouble. Soon after getting my GED, I began working at Harlem Children’s Zone. I was listening to the disability specialist speak about the problems high school students will encounter when they enter college. It clicked for me. For the first time, I was able to explain the challenges I faced and I admitted to the specialist that I had an IEP while I was in school. The specialist helped me get testing done so that I would finally be able to prove that I have a learning issue and could receive supports in college. It was like the world turned upside down. I was finally able to get the help I needed. I saw the “perks” of having a disability and getting the services I was entitled to. And, for the first time, I understood what it was I needed help with. It took me a long time, but I have finally found my voice. I used to be ashamed to talk about my learning issues because I thought I was the only one who struggled, and I worried no one would believe me. But accepting who I am and taking the time to understand what I need has made all the difference. I was lucky to have advocates and people who believed in me. Because of them, I believe in myself and have achieved more than I once thought I could. I am grateful for the ones who stood up with me. Without them, I wouldn’t be who I am today, and I wouldn’t be working to empower others to speak up as well. Every person with a learning disability deserves the chance to realize their potential and reach their dreams. Understanding yourself and being able to ask for what you need is the first and most important step. Lena McKnight was born in Norfolk, Virginia and raised in Harlem, New York. 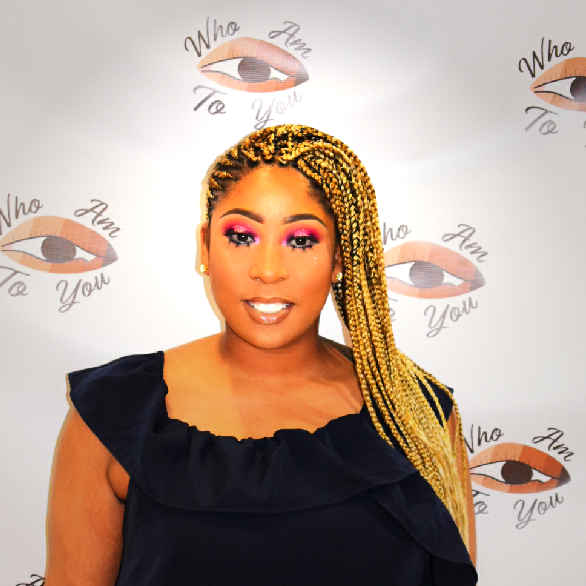 She attended public school in New York City until 10th grade and later enrolled in a YouthBuild program where she achieved a High School Equivalency Diploma. Lena then went on to graduate with an associate’s degree and later a bachelor’s degree in Theatre and Sociology in May 2017. Lena has served as a Student Advocate for 10th graders through the Harlem Children Zone and remains involved with YouthBuild. She now works full time and devotes her career to serving kids in her community. Lena is committed to using her voice to have a positive impact on the field of education and on society at large. 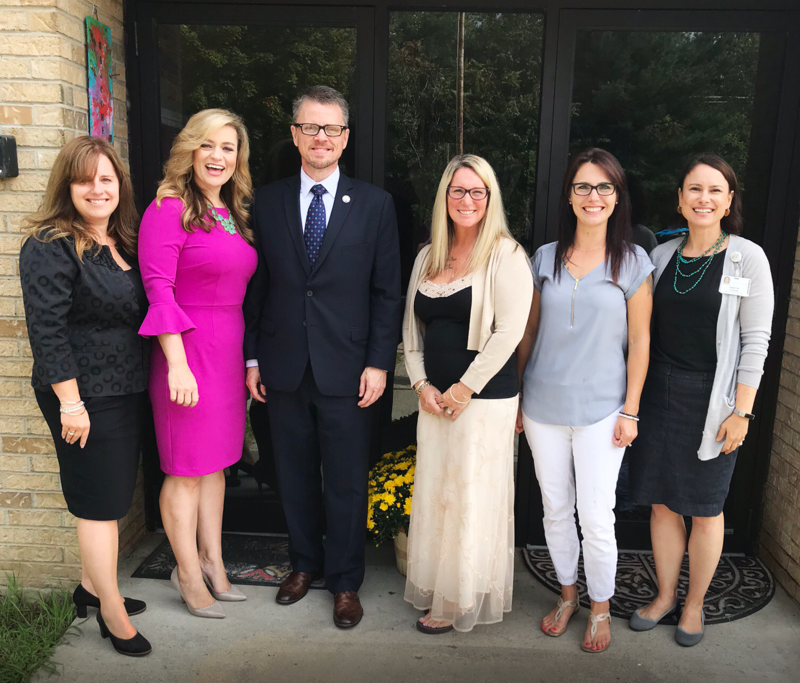 Assistant Secretary Johnny Collett and Deputy Assistant Secretary Kim Richey visited Strong Foundations Charter School during the 2018 Back-to-School Tour. Seven years ago, one of my former students came to visit me and see the school I helped to found, Strong Foundations Charter School, a public charter school formed to provide excellent reading instruction to all students. My former student was home from college where he majored in music and also played in two successful bands nearby. As we walked through the halls, he saw the elementary students working, some of whom were in Orton-Gillingham class—a structured reading approach to help students learn to read. I remarked that if he had been in a school like this, he might not have had to struggle so much with reading when he was younger. Translation: I might not have seen teachers as the enemy and schools as the battleground for so much of my childhood. As a young teacher, nothing hurt worse than knowing I could teach someone how to read, but having them be so emotionally damaged from failure that they didn’t even want to try. Time after time, that was my experience. When I first began working with the student I quoted above, he was in the sixth grade. A bright mathematician, he had never learned to read despite his teachers’ efforts. Now it was my job to teach him to read and spell. For the first three months, every reading lesson was met with refusal and anger. Gradually, he began to have success and respond to my encouragement until finally, by the end of the year, we could accomplish an entire lesson in one sitting. I had recently been trained in using the Orton-Gillingham approach. I worked as a special educator in a small private school in New Hampshire, and this student was one of many with a similar story. After years of failure, the first hurdle to help them overcome was their hopelessness when faced with the prospect of trying one more time. I knew, though, that the English language is actually logical and can be taught systematically. In my experiences, a multisensory structured literacy approach is essential for dyslexic learners and can also be beneficial to all learners. At Strong Foundations, we accept all students at all academic levels, from low-achieving to high-achieving. Every student receives Orton-Gillingham instruction in a group as part of their regular education curriculum because we believe it is beneficial for all learners. We also believe it will prevent many students from ever struggling to learn to read. We work on building background knowledge using the Core Knowledge curriculum, a sequenced curriculum for kindergarten through eighth grade students. In the classroom, students receive Orton-Gillingham instruction at a differentiated pace. Students identified with a learning disability in reading normally receive additional Orton-Gillingham instruction at a therapeutic level, so it reinforces what they have learned in the classroom. Our hope at Strong Foundations Charter School has always been that more schools would see our success and would use structured literacy approaches from the beginning of a child’s reading instruction. I would like to see teacher-training programs include training in structured literacy approaches so that all elementary and special education teachers are prepared to teach reading. It has not happened as quickly as I had hoped, but I am seeing some progress. The story of my student I mentioned above has a very happy ending. I worked with him through ninth grade, when he let his parents know he wanted to stop tutoring because he wanted to learn to play an instrument. His tutoring time with me conflicted with music lessons. We all agreed that if he could maintain his academics without my help, he could “fire me.” He went on to graduate from high school, earn a four-year degree from a prestigious college of music and now works as a professional musician. Beth McClure has served as the principal of Strong Foundations Charter School for twelve years. She earned a master’s in learning and language disabilities and a master’s in Educational Administration. 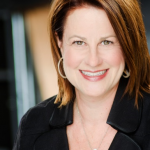 She is a fellow of the Academy of Orton-Gillingham Practitioners and Educators and currently serves as its president. She recently joined the Professional Standards Board of the New Hampshire Department of Education. Her favorite professional activity is teaching reading. The U.S. Department of Education does not endorse specific curriculums or approaches to education. Blog articles provide insights on the activities of schools, programs, grantees, and other education stakeholders to promote continuing discussion of educational innovation and reform. Articles do not endorse any educational product, service, curriculum or pedagogy. Courtney with her twin sons on their first day of kindergarten in a new state. The boys play t-ball together, love Super Why, biking to the park, and are in the same kindergarten class. 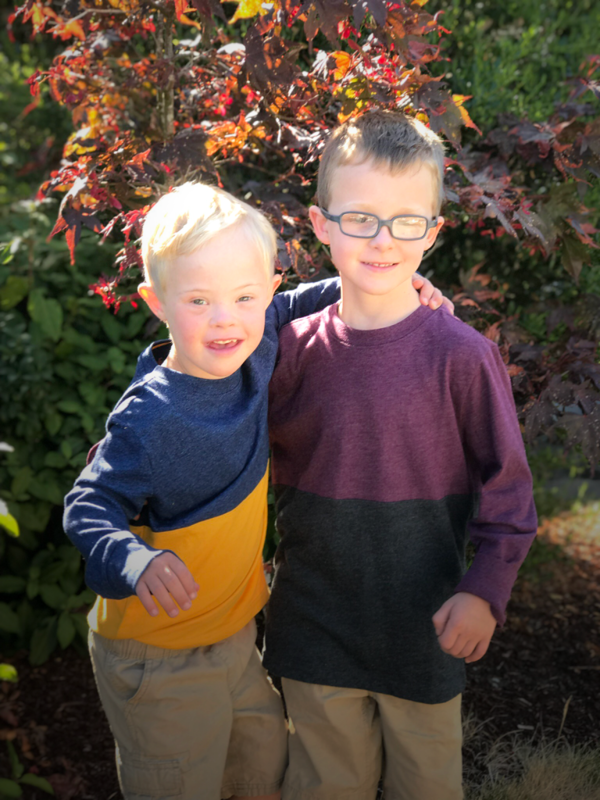 My son with Down syndrome and his typically-developing twin brother just started kindergarten. The military also just moved us across country this past summer. About two years ago, I really started investigating the idea of a fully inclusive education for my son with Down syndrome. I even blogged about my ultimate goal: my twins graduating together in the year 2031. For most other sets of twins graduating together wouldn’t be a goal, because it would just happen automatically. With lower graduation rates for students with disabilities compared to non-disabled students, and even lower rates for student with intellectual disabilities, I knew our path would be hard fought. It all starts in kindergarten of course. So, I worked tirelessly over the past two years to get where we are today. Both Hunter and Troy are in the same class, and Troy is 100 percent included with his typical peers with the appropriate supports to be successful. 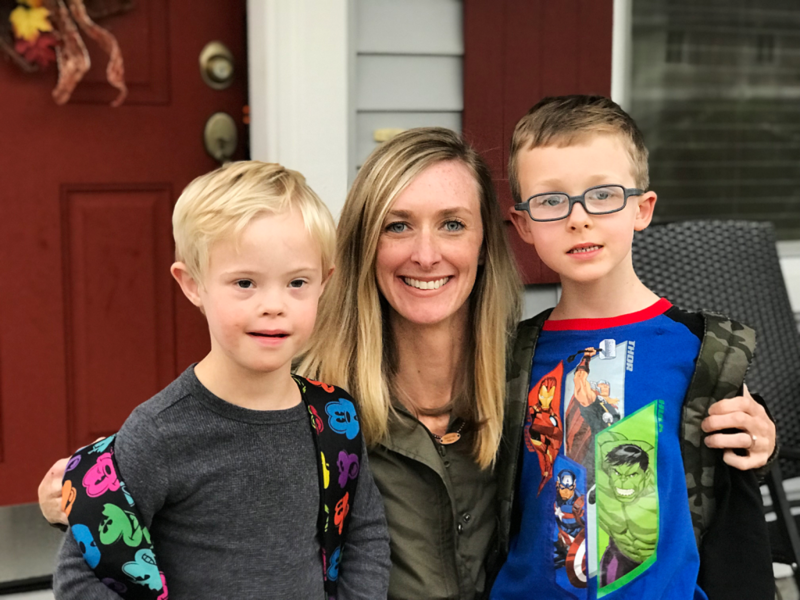 Too many kindergarteners with intellectual disabilities don’t have the same opportunity as my son, even though federal and state laws require the continuum of placement to start in general education with appropriate supports. You might ask how I successfully got him included 100 percent of the time and if he really is being successful. I will tell you it all starts with the village, as well as learning you and your child’s rights. Social media can be a blessing and a curse, but for parents of children with disabilities it’s often an awakening. Getting plugged into the Down syndrome community via social media helped me realize what is possible. Even though we’ve lived in three states since our twins were born, I’ve been able to make friends in each state and around the country who have shaped my perspective on what it means to live and thrive with an intellectual disability. Can my son go to college? Of course, because I just talked to Beth whose son with Down syndrome is moving across country to attend George Mason University. Can Troy really find a meaningful career? Yes! Elizabeth’s son just got another promotion at Kroger. These friends have pushed me to set high expectations for my son. No doubt about it, you are the expert of your child. When he was little you were up in the middle of the night with his croupy cough, and you’ll be there when he ages out of the system. Still, we can learn so much from doctors, therapists, counselors, and teachers. I’ve always taken a hands-on approach to my son’s endless therapy sessions and education. I always set some of the private therapy and individualized education program (IEP) goals. In return, many doctors, therapists, and teacher have taken the time to really educate me on best practices in my son’s areas of need and given me functional tips to help my son at home. I started advocating early ensuring my son would receive an inclusive education with proper supports. I attended conferences and special education trainings to learn my son’s educational rights. You can start local with school board meetings and school superintendents. Request training for teachers in best practices like Universal Design for Learning and Multi-Tiered System of Supports. At the state level, I advocated for a bill that is now law in Ohio to end organ transplant discrimination for people with disabilities. Many disability organizations provide opportunities to advocate nationally either over social media or in person. I attended the Buddy Walk on Washington, and had the opportunity to ask my U.S. Senators and House of Representatives to preserve important health care protections for people with disabilities and better fund IDEA. Positive change starts with you and me. So get out there; our children’s futures depend on it! Most parents of children with disabilities are the most tenacious, hard-hitters I’ve ever met, but this heightened existence of higher highs and lower lows can take their toll on Type-A personalities like me. I have to make a conscious effort to lean on friends and family outside of the disability community. The military affords our family respite hours every month, and I use every last minute. The only way I can be a superhero for my son is if I take care of myself. Parenting a child with a disability is a marathon, not a sprint. Even with the strong start my son has, I know we will hit many bumps in the road. Will I know when his needs aren’t being met? How will I ensure he’s included, but also gets the support he needs for a successful future? My best answer is to lean on my village. I wish more people would embrace their “village.” Our children, community, and country would be better for it! 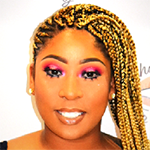 Briana Harris is from Henderson, Tennessee, and currently lives in Nashville, Tennessee. She is a lead teacher at Cambridge Early Learning Center, which is part of the Metro Nashville Public Schools system. She earned a bachelor’s degree in elementary education from the University of Tennessee at Martin. She began her early learning career in Nashville as an educational assistant and interim teacher at the Martha O’Bryan Center. She is passionate about early childhood education, her family, and her three dogs! BH: I’ve known since I was in kindergarten that I wanted to work in early childhood education. I had a difficult childhood. My experiences caused me to be a fragile child and I didn’t trust new people and was afraid of new situations. My kindergarten experience was critical for me. Was school going to be okay? Was it a safe place? I didn’t attend preschool, so kindergarten was my first school experience. My kindergarten teacher, Mrs. Emily Brown, was everything I needed her to be for me as a child. She and her classroom were my safe place when I really needed one. I so clearly remember the love, grace, patience, and kindness I experienced that first year in school. She gave me a sense of belonging in a world that terrified me and I knew that I wanted to be just like her. I wanted to be a teacher and wanted to do for other children what she had done for me. She had the power to help me love school or hate school and I knew I wanted the opportunity to make children’s first year of school positive and meaningful. My high school offered a program where students could spend time as a teacher’s aide, which was great for those of us interested in an education career. I worked in a first grade class for an hour every day. Then, when I went to college, I went into an elementary education program so I could become certified to teach PreK through third grade. Many people asked me why I was limiting myself, since I could get a degree in teaching kindergarten through 12th grade. This didn’t impact me because I knew that I was passionate about teaching young children. After graduation, I started working at the Martha O’Bryan Center in Nashville, Tennessee, which focuses on serving children living in poverty. It was a great experience and I eventually became a lead early childhood teacher. Then I began teaching at the Cambridge Early Learning Center, a center with only preschool classrooms that is part of the Metro Nashville Public Schools system. This is my third year teaching at Cambridge. I love being in an exclusively early childhood center — there is a lot of singing in the hallways! The downside is my students are only here for a year and I don’t have the opportunity to see them grow as they progress in older grades. ED: What is your favorite thing about the beginning of the school year and what do you do to prepare for the first day? BH: Getting to meet the new children and families. For the most part, the children are so excited. Some of them have been in child care or Head Start, but for many of them, it is their first time being in school. I take it very seriously that they enjoy their first school experience from the beginning. After looking at the names on my enrollment list, it really is fun to meet them in person. In terms of preparation, I remind myself to be patient and go with the flow; having strict educational expectations for the first few days is unrealistic. It is often very hectic with parents and children crying and parents trying to take pictures, and I have to remind myself to be flexible. I want the kids to have a sense of belonging immediately. So, before the first day, I work hard to make sure the kids’ names are on their cubbies and in other places in the classroom. I also work to put pictures of the kids up within the first couple of days since many students don’t yet recognize their written name. We also get their artwork posted in the classroom early. It is really powerful for them to feel like they belong. The first day can be hard on families, especially if it is their first or only child. The week before school we host Meet the Teacher Night, where families can bring their child in to meet me and see their classroom. This also gives families the chance to speak with me so we can begin to build trust. It is really important to give families the opportunity to ask me questions and see what I’m like. This event has been very successful. I can really tell the difference on the first day of school with children whose families were able to take advantage of coming in before the first day. The children usually settle in much easier. Some parents have a hard time saying goodbye to their child, particularly on that first day. One of the things I tried to do this year was to have a place outside the classroom where they could take their first day of preschool photo so that after the photo was taken they could say goodbye and their child could enter the class on their own. In our school, we have an archway near the entrance and we really encourage families to say goodbye there. We try to foster independence at the beginning of the year with the kids and work with families to help them understand that this is a good thing! ED: How do you know if the first day was a success? BH: I like to think of it as a success if the children leave with smiles on their faces. We often have tears at the beginning of that first day, but if they leave school with smiles and say they want to come back by the end of the day then I think it was a success. We might have tears again on the second morning, but again, if they leave happy by the end of the day then I think it was a success. It might still be scary to get dropped off, but those smiles show me that they did have fun and enjoy school, which is my goal for those first few days. ED: What advice do you have for other early learning teachers on strategies to use at the beginning of the school year, to make the rest of the year a success? BH: My advice is to systematically focus on building strong social and emotional skills for the first month to six weeks. Our school uses the Pyramid Model for promoting social and emotional competence in young children and we start implementing this on the first day. We did home visits a couple of weeks ago and many parents wanted to know when we were going to teach letters and numbers. We share with families how important it is that we start out with a focus on social-emotional skills. Starting school is a huge transition for kids. Children need to be able to identify their emotions and develop skills for how to deal with different emotions. We start the year learning our schedule and routines, discussing what is expected of members of our classroom, exploring how to be kind to one another, and understanding that it is okay to get upset while learning skills to calm ourselves. We also spend a lot of time on problem-solving, including how to be fair with one another and how to solve problems without needing an adult. The children need to learn to function successfully as a class and by spending the time on social and emotional competencies those first several weeks of school, classroom management is easier and the entire year can be practically seamless. After that, you can easily dive into the academics. On a last note, recently, our state recognized the importance of social-emotional development. In January 2018, they released updated Tennessee Early Learning Standards for four-year-olds in our state. I was very happy to see that the updated standards strengthened the importance of social-emotional development. This is all so important because, if children don’t feel safe and loved in their classrooms, they aren’t going to be able to learn! 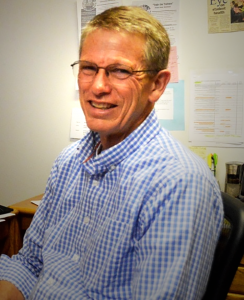 Dan Gaffney is a veteran educator and administrator, having spent 17 years with the Seaside School District in Oregon as an elementary principal and special education director. He later coordinated Clatsop County’s Preschool—Third Grade (P-3) Collaboration project to align programs and professional development for those working and involved with the education and care of children from birth to age 8. He also developed and directed Clatsop County’s early childhood health and education screening for 3 years. 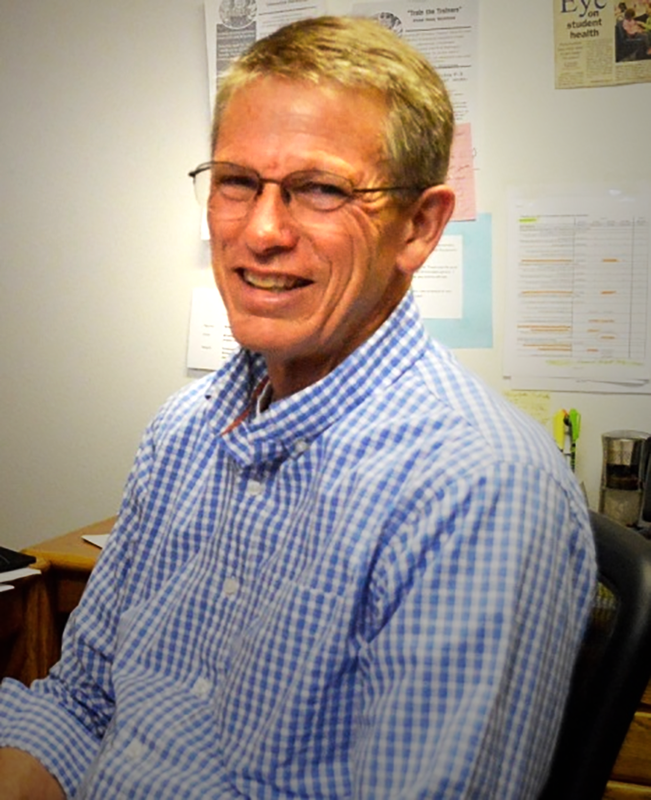 Dan has served on Oregon’s Northwest Early Learning Hub Governance Committee and Clatsop County’s Way to Wellville Strategic Council. Most recently, Dan directed the U.S. Department of Education-funded Preschool Pay for Success Feasibility Study involving Clatsop and Tillamook Counties in Oregon. ED: How did you begin your career in education and then choose to focus on the importance of early learning? Dan: I spent 37 years as a K–12 educator. First as a teacher, 13 years as elementary principal, and four years as a special education and English language learner director. All of these experiences really helped me understand the importance of the early childhood years. Being a special education director connected me with a broader education community that includes the medical community working with preschoolers who have or are suspected of having a disability. During the last five years, I’ve worked on preschool to third grade alignment. This has involved working with early childhood experts and the medical community to run a health and development screening clinic available to families with young children in our community. It has addressed a need in our community and connected these families much earlier to both the educational and health systems. Our community is relatively rural, about 100 miles from Portland, Oregon, and on the coast. One of the things that struck me when I moved here 30 years ago is that people here are resourceful and pull together when there is a need. We find ways to address challenges which can be hard when you are far from a major metropolitan area. Our poverty rates continue to grow. In the elementary school where I was principal, 35 percent of students qualified for free and reduced lunch when I first started. Now, 17 years later, almost 70 percent of students qualify for free and reduced lunch. Our community has also become much more diverse with schools seeing increasing numbers of English language learners. Recognizing these changes in our community broadened my awareness of the challenges families with young children experience and led me to early childhood advocacy work. It also connected me to others at the state and local level working to improve early learning opportunities for young children in need. It has been fun and rewarding working with others who are passionate about improving services and programs for families and young children. ED: What efforts have you and your community been involved in to improve the quality of early childhood programs and services? Dan: I coordinated Clatsop County’s Preschool—Third Grade (P-3) Collaboration (funded through the Oregon Community Foundation). This project supported the alignment of educational programs, parenting programs and professional development for early childhood providers, school district teachers and administrators, healthcare professionals, and others involved in the education and care of children from birth to age 8. We called this initiative Clatsop Kinder Ready and brought together leaders from our Hispanic community and county government, preschool and K–12 educators, and others who delivered services to our young learners. That led us to do early childhood health and education screening clinics where families could bring in preschool-aged children and receive free health, developmental, and education screenings, and if needed, follow up with appropriate services. We conducted a couple of these each year. This effort relied on many volunteers—nursing students from the college, local Head Start staff, interpreters from the Hispanic Council, local high school students, elementary school staff, physicians, school psychologists, and others. We also provided transportation support when needed. It was a great example of the community working together. Then, the state started funding Early Learning Hubs, which are charged with getting cross-sector partners to work together to create local systems that provide families and young children with the support they need. Our Northwest Early Learning Hub was able to take on the screenings, and now the hub is working to improve the link between screenings and the need for appropriate referrals and further evaluation. A new piece of this work that our community started last year is the Welcome Baby project. The group that worked together under Clatsop Kinder Ready recognized we needed to do something to connect with families of new babies. Following the successful work in other Oregon communities who developed a welcome box, we decided to create welcome baby baskets that include needed baby supplies and a community ABC book. In the ABC book, each letter of the alphabet represents a service available in the community. Last I heard, we had given out over 100 of these in the two local hospitals where each family also connects with a social worker. Last May, we held a county-wide baby shower and invited all the families of babies that had been born in the last year to meet other families and service providers. Participants shared information about different programs and services available for young children and families. The county health department is going to take on the Welcome Baby program and we hope it can be sustained. It has increased awareness and excitement about the importance of these early years and what’s available to help families. ED: How has your community benefitted from your Preschool Pay for Success (PFS) Feasibility Study and other early learning efforts? Dan: We were thrilled we had the opportunity to explore how to expand high-quality preschool programs in our community through the Preschool PFS Feasibility Study. More specifically, the purpose of the study was to determine whether or not PFS was a feasible approach for this. Complementing the study were efforts by the Sorenson Impact Center at the University of Utah. Their data experts came in and helped us examine data from eight local school systems and Oregon’s Department of Education that could help inform our efforts. There have been many benefits of conducting the PFS feasibility study. First, it broadened our set of partners engaged in our early learning work. Having a grant from the U.S. Department of Education really helped us to connect with partners at the University of Utah, the state, and other early learning partners and to form true collaborations. One of the unique partners we have here is the Coast Guard. We have over 600 Coast Guard families living in the county and two additional ships are being reassigned to our area. Our partnership with the Coast Guard extends to serving the needs of their families. They are interested in exploring what they can do and offer in terms of resources to help their families and the broader community around early learning. Our project also attracted interest from state leaders within the education department’s early learning division and the Children’s Institute, Oregon’s largest children’s advocate organization. Second, and this excited people from the beginning, the study allowed us to pull together data we hadn’t had time or resources to pull together before. This renewed look at data solidified many of our assumptions but also provided us with new information. For example, we now have data showing us that the mobility of families in our community is a big issue. We can see the percentages of our students that are moving regularly across the eight school districts in our community; these data will be helpful in responding to this issue and better meeting the needs of our transient students. Data were really valuable for internal planning and when reaching out externally to clearly demonstrate the extent of our community’s needs. It made a case for expanding high-quality preschool and helped us develop specifics for how to reach families with young children. Third, through the feasibility study we conducted a cost benefit analysis of preschool expansion and resulting transportation needs in our community. This helped us understand its cost and potential benefits, and understand when and how those benefits occur. Finally, being part of a feasibility study allowed us to consider doing things a little bit differently. We were new to the PFS concept, but it has helped us think about how we can expand on what worked for some of our families and children with the greatest needs. ED: What suggestions do you have for others interested in expanding access to high-quality early learning programs? Dan: Collaborate; don’t try to do it on your own. Find out who else has interest, expertise, and connections that are beneficial to not just families and children, but to the overall community. Think about connecting with businesses and your local chamber of commerce. For example, we learned one of our local fish processing centers was looking at buying slots in a local child care program and building that into their employees’ compensation so they could retain high-quality workers. We then brought them into our efforts since they were motivated to support their employees. Don’t be afraid to reach out to leaders who might seem like they aren’t interested. Have your two minute elevator speech ready—be concise about what you are doing and why, and what the possibilities are. Over the course of my career, and with much practice, I have learned how to make a compelling pitch and have refined my approach with leaders. Finally, be ready for ups and downs. There definitely isn’t an easy path in this work, but when you have a core group that is committed and willing to dream together and work together, you can keep the momentum going. 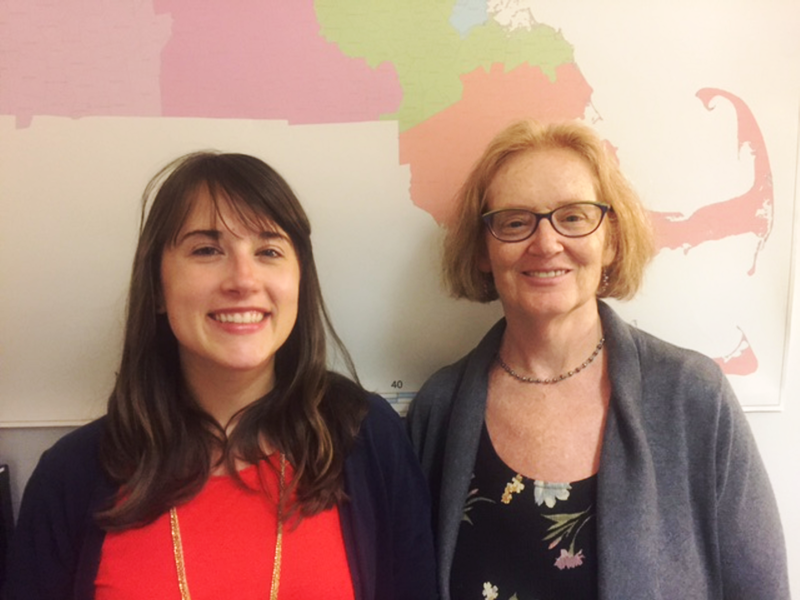 Kate Roper is the Assistant Director of Early Childhood Services in the Bureau of Family Health and Nutrition at the Massachusetts Department of Public Health (DPH). Roper oversees several state and federal grants, including Project LAUNCH and Early Childhood Comprehensive Systems (ECCS) grants, and co-leads the Massachusetts Pyramid Model State Leadership Team. 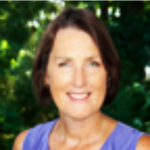 Roper has been in the field of early childhood education since 1978 as an infant teacher, teen parent child care director, trainer, adjunct faculty member, and independent consultant and curriculum developer. Eve Wilder is the ECCS Coordinator at DPH’s Bureau of Family Health and Nutrition. Wilder has managed early childhood projects at DPH through the state’s ECCS grant for over 7 years. She has worked to strengthen early childhood systems of care in a variety of capacities since 2005, from providing home-based services to young children with autism spectrum disorders, to policy and program development at the Massachusetts legislature and DPH. Kate: I’ve always had a passion for understanding why people become forces for good. So, in college, I ended up with a joint major in psychology and education. I became more interested in early childhood by spending time in the nursery school on campus. At first I thought focusing on kindergarteners was too old, and then I decided focusing on preschoolers was too old. In my first job out of college, I ended up as an infant teacher in a child care program that was focused on supporting families going back to work. Here I gained an understanding of the importance of working with the whole family. Later, I earned a master’s degree in human development and worked with high-school-aged young parents. I started working alongside social workers and guidance counselors, and became familiar with the family systems model, where the family is central to supporting healthy development in their young child. I also began adjunct-teaching at local colleges on early childhood development and started consulting with the Massachusetts Department of Public Health (DPH).This eventually led to a position working directly for the DPH Bureau of Family Health and Nutrition. In 2003, Massachusetts was awarded an Early Childhood Comprehensive Systems (ECCS) grant from the U.S. Department of Health and Human Services’ (HHS’) Health Resources and Services Administration (HRSA). I started working on the ECCS grant which, at that time, was very open-ended and focused on coordinating across systems of family support, parenting education, early education and care, health, and mental health. Eventually, in 2006, I became the director of our ECCS grant. That year was also the inaugural year of the Massachusetts Department of Early Education and Care (EEC) and we partnered with them to build a strong emphasis on mental health. In 2009, we received a Project LAUNCH (Linking Actions for Unmet Needs in Children’s Health) grant from HHS’ Substance Abuse Mental Health Services Administration (SAMHSA) and I took on leading that project as well. Eve: My career in early childhood started in college. I volunteered at a family shelter where I helped to provide child care. There was a boy living with his mom at the shelter who, at the age of four, was diagnosed with autism. I was blown away by the lack of supports for him and his mom and the late age of his diagnosis. That really motivated me to learn more about the various systems in place to help children and families—health, education, and social services—and to identify and find solutions to cross-systems-level issues. After I graduated from college, I became a specialty early intervention provider under the Individuals with Disabilities Education Act (IDEA) Part C, where I worked for several years providing home-based services to young children with autism spectrum disorders (ASD). I learned first-hand how the family and community context impacts child development. I then had an opportunity to work as a legislative aide for a member of our state legislature. It was fascinating working on the policy side, helping draft bills related to early childhood health and development. Eventually I earned a master’s degree in public health. I became a Leadership Education and Neurodevelopmental Disability (LEND) program fellow, and was able to focus on systems and policy issues impacting children with special health care needs. I started at DPH as a graduate student intern working with Kate and came on as staff when a position opened up on the ECCS grant. I’ve been at DPH for seven years working on both ECCS and the state’s Early Learning Challenge (ELC) grant. ED: What efforts have you and your organization been involved in to improve the quality of early childhood programs and services? Kate: For the first eight years of our ECCS grant we mostly functioned as a convening and development office that served any of the state’s early childhood collaborative projects and technical assistance (TA) opportunities. For example, we worked with the Children’s Trust to bring Strengthening Families to the state; and with EEC to being implementing the Pyramid Model. We convened a state leadership team for Pyramid Model implementation. We also used our convening power to develop an Early Childhood Mental Health Strategic Plan, which led the state to apply for and receive a SAMHSA systems of care grant and our Project LAUNCH grant. Our efforts were really focused on working with other state agencies to develop initiatives that benefit young children. It worked out nicely that during this phase, EEC invited us to the table when they applied for and were awarded the ELC grant. As one of four agencies within the state to receive ELC funding, we helped lead efforts to develop coordinated TA focused on trauma-informed care and family mental health. We also helped bring more of a health focus to child care in the state by building capacity in regional offices and by hiring regional nurses. Eve: Prior to the ELC grant and regional nurses, our ECCS grant built capacity for health consultants supporting early learning and care programs. These consultants provided basic information when it came to working with children with complex medical needs or addressing the outbreak of a virus. When we put four regional nurses into the field, it was great because they provided direct medical support around medication administration (including asthma and severe allergies), worked with young children with diabetes, helped address the obesity crisis, and more. Unfortunately, when the ELC grant ended, we were not able to find a way to sustain this health work, including funding for the nurse positions. We have, however, tried to maximize the resources that were developed under ELC through TA and train-the-trainer approaches. We’ve had to be creative and adaptable in partnering with colleagues within DPH and across the early education field to sustain many components of the work. ED: How has your ECCS project evolved over time? Eve: In 2012, HRSA changed the guidance for ECCS and increased its emphasis on infants and toddlers. For our grant, we chose to address and mitigate toxic stress on the development of infants and toddlers in two local communities, Springfield and Chelsea. The first phase of this work had fewer defined parameters so our two communities did a lot of relationship building, including identifying a common vision for addressing toxic stress. We are now in the later phase, known as the ECCS Impact Project, which has additional structure, a focus on measuring our impact, and increased funding. As an ECCS grantee, we are part of a Collaborative Improvement and Innovation Network (CoIIN), which is a multidisciplinary team of federal, state, and local leaders working together to tackle a common problem. HRSA supports CoIINs that address a range of topics. We participate in the ECCS COIIN. The primary aim of the ECCS grant is to show a 25-percent increase in age-appropriate developmental skills among our participating communities’ 3-year-old children. With our two communities and our state-level partners, we discussed and defined what that means for us. Once we did this, the CoIIN guided us through using a Plan-Do-Study-Act methodology to impact change. When we first convened our teams in Chelsea and Springfield, we focused on identifying where the needs were in these communities. We found that we have a strong IDEA Part C system, relatively high levels of developmental screening, and nearly universal health insurance coverage for children. However, we are still challenged by persistent inequities in health and development outcomes for young children of color and those living in poverty. Through a partnership with a local United Way program’s developmental screening initiative, we are training parents from the communities on how to use the Ages and Stages Questionnaire (ASQ), a developmental screening tool, and how to reach out to families that are not connected to existing programs. We do this through local institutions and establishments such as libraries, parks, and laundromats. This approach is focused on building connections to isolated or not-yet-engaged families, talking with them about their child’s development and, if there are any concerns, helping these families connect to resources and services. Another exciting piece of this ECCS grant is a coordinated database for ASQ that we are building in partnership with the United Way. Parent screeners enter screening data into the database, and then other programs (with a data sharing agreement) can see the data at the aggregate community level. The goal is to begin to identify trends in the community. We have found this to be particularly helpful in Boston. When we were completing the ECCS grant application, we realized that we didn’t have a consistent health and development measure for young children at the population level, and this ASQ database has been our first step towards developing one. We are also exploring how we might build on some data integration efforts that DPH is undertaking, including a community-level dashboard that includes aggregate data, as well as ways to use de-identified but matched data across data sets. This allows us to look at aggregate data from various data sets (and keep individual data private) so we can identify areas of risk and the outcomes of interventions. The final piece of our ECCS grant that we’re trying to accomplish is to make more of a collective impact in the state, across agencies and funders, by building processes and networks that sustain the work. ED: What suggestions do you have for others interested in using systems-level work to improve early childhood services and programs? Kate: Cross-systems work is really powerful, and having HRSA funding for the convening and systems-building work in our state has been extremely useful. We recommend you start with a small project; build trust; and learn about other agencies’ and partner organizations’ strengths, expertise, and resources. Sustainability is always a challenge, so bring it into the work from the very beginning. Try to be creative and intentional about bringing outside partners in to help. The other suggestion we have is to keep showing up to meetings. Attend those meetings where at first you aren’t comfortable, but eventually you can learn the language of that other system. For example, the word “assessment” means something different depending on who you are talking to and about. As you bring together folks from different disciplines and programs, become a translator across systems. ECCS has allowed us to be like Switzerland, a neutral convener. And always remember the focus of this work that we’re doing: it’s about children and families.